Copywriting is the art of writing for a purpose. As such, you first need to know who is your target (audience profiles) and what outcome you hope to achieve with them (inform, influence, persuade, sell). During a previous session, you outlined a list of personae which you need to target for your product. This will allow you to determine what type of content you need to produce for them as well as the format, language and level of technical detail which will be most appropriate for each target. You should also think about the keywords which need to appear in your copy to attract their attention. Focus on the benefits rather than on the features of your product. 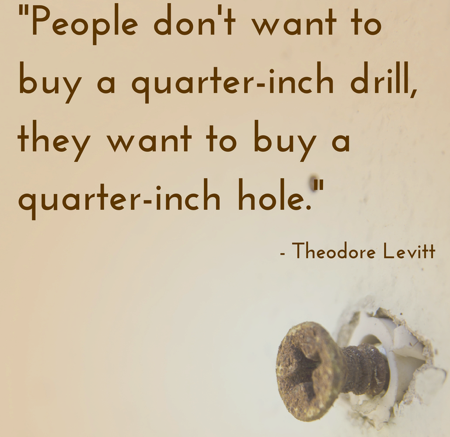 What will your audience gain from using it? Will it make their life easier or better? Will they save time or money so that they can do other things? Will they become better persons? How can your product fulfill your customers’ needs? Of course, you need to be careful not to overpromise! But, this can be very boring and off-putting. And in business, you cannot afford this. You want to write for impact and thus need to grab the attention of your readers right from the start. Especially in this age of abundance of information and scarcity of time. People do not want to waste time going through your copy to find the key points. 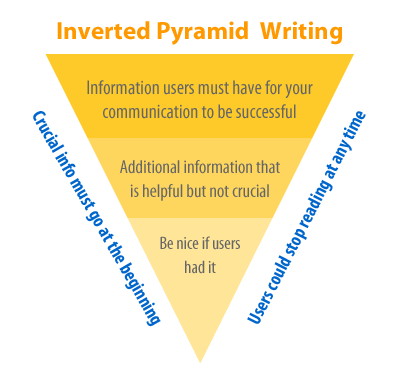 You need to adopt the method of the inverted pyramid for structuring your copy. This is used extensively in journalism. It consists of putting the most important information at the top and providing multiple visual entry points to facilitate skim reading. You should use headings and sub-headings, a lead paragraph and illustrations. The length of sentences should vary with a preference for shorter ones. Headings and body copy must be concise and clearly expressed in plain and objective language. In his essay Politics and the English Language, George Orwell advised that we use shorter words, cut out unnecessary ones and use the active voice when writing. Visual elements are powerful tools to grab attention, illustrate your message and even replace words. These can be in the form of pictures (drawings and photos), charts or videos. You can use stock images if you do not have your own photos but you should ensure that the content is relevant to your target audience (for example in terms of people and environments featured) and does not infringe copyright. It is very important to pay attention to the layout and use of space. Many people tend to want to use as many colours as possible but this can be very tiring for the eyes. There should be harmony in the use of palettes as well as in the use of typography. The urge is also to cram in as much information as possible. As a result, visitors do not know where to look and become confused. 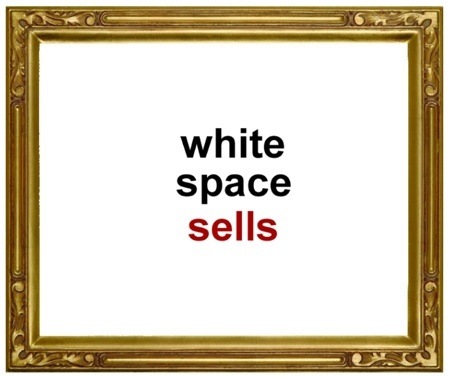 White space helps as it provides visual breathing room for the eye by providing breaks from text or graphics. It also helps make important information really stand out. An example of a page which uses white space can be seen on the Mauritius Vibrations website, a mobile app to stop you feeling bored in Mauritius. Finally, if you want to create leads for your sales, you need to include a call to action (CTA) to provoke an immediate reaction. Use active verbs such as sign up, subscribe, call, buy, donate, etc. Sometimes you have to offer a little extra (discount, entry in a competition, a free gift) in order to create a sense of urgency. Write a post which targets one persona profiled for your product. 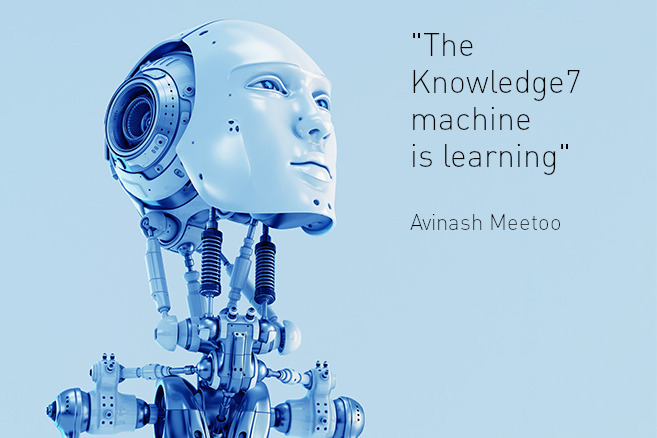 Ensure it provides valuable content from the point of view of this audience. Illustrate the post with an appropriate image.